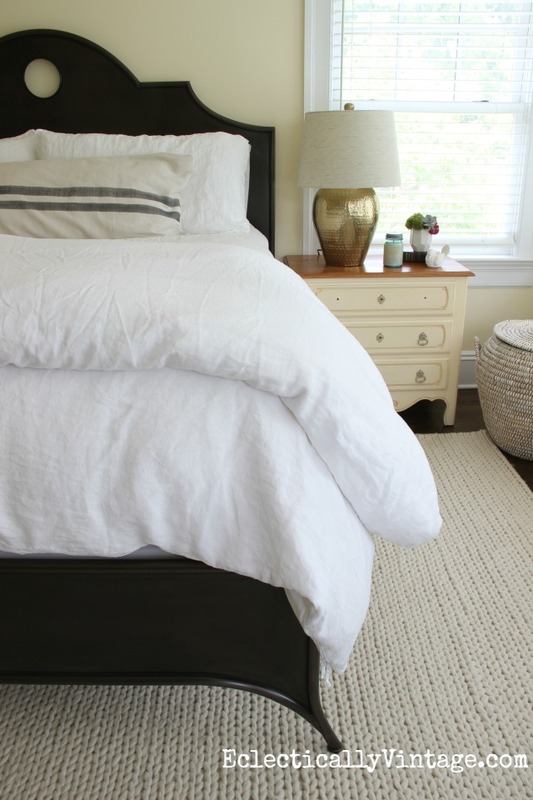 I’m in the process of redoing my bedroom and I’m craving a light and airy and simple look. Be gone 10 throw pillows that I have to fluff every morning. 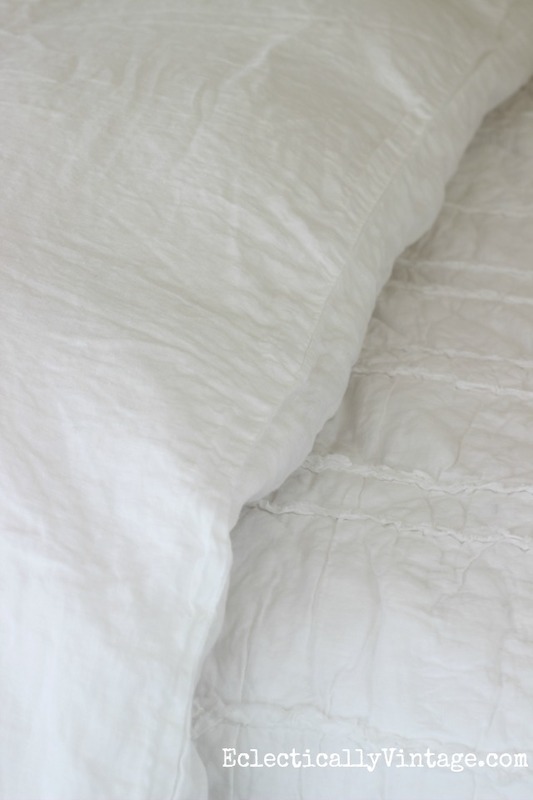 I’m taking it down to the basics and I’m loving the time worn, vintage feel of my linen bedding from Matteo – wrinkles and all. It’s all about tone on tone layering with a ruffled quilt and the linen duvet cover at the foot of the bed at the ready for a chilly summer night. It’s a snap to make my bed in the morning with just the basic – two sleeping pillows at the back, two Matteo linen shams in front of them and a long grain sack style body pillow from The Vintage Songbird. 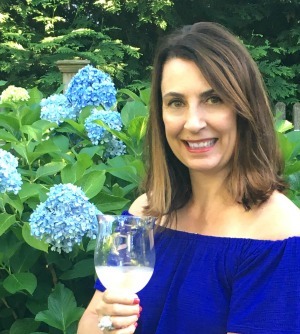 Linen is a natural fiber that tends to wrinkle easily and I’m embracing it! 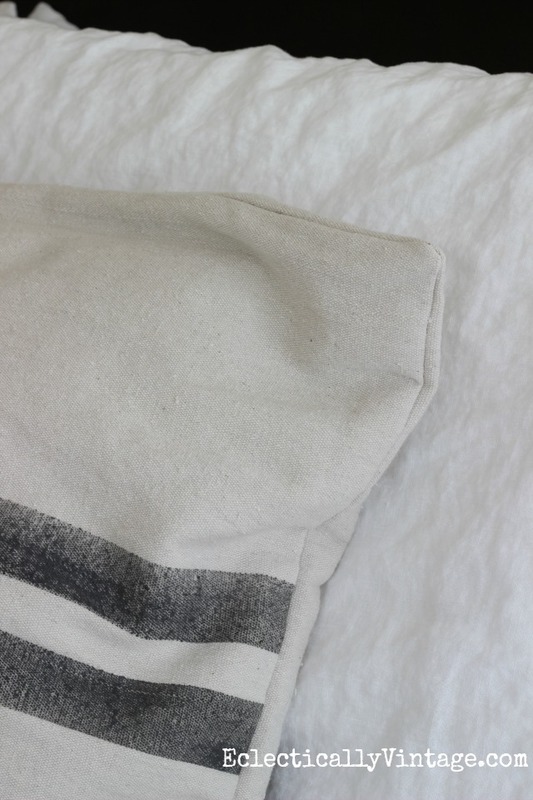 I’m loving the texture the linen brings to the bed. 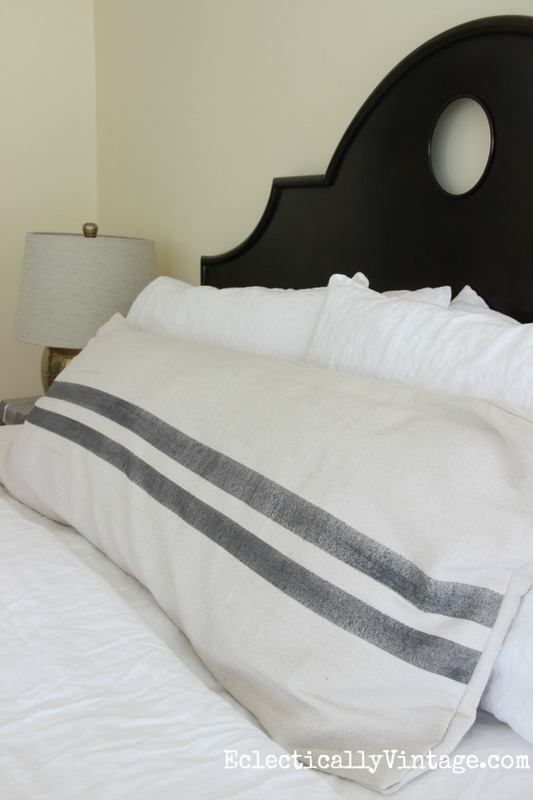 I chose the vintage linen duvet and shams in white but there are tons of styles and colors to choose from – you can even order fabric swatches online and they have an outlet store in Los Angeles. 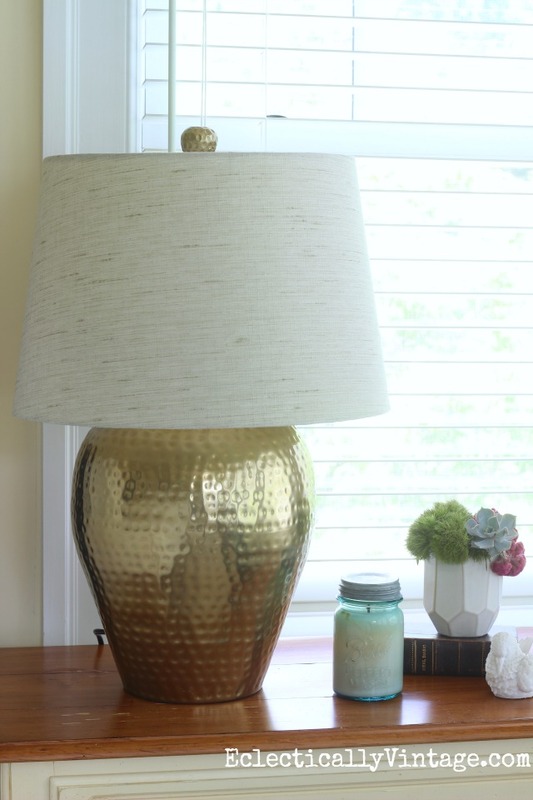 I found a pair of hammered brass lamps at HomeGoods for a little glam. Next step is to paint the walls white once I find the perfect shade and add some art. Here’s to getting back to the basics. So lovely and refreshing. I always love the look of multiple pillows but dealing with off/on of the pillows is wearing me down, too. Great solution! It’s been life changing Debra – no mounds of pillows on the floor! I also have one long decorative pillow on my bed. I’ll never go back to a bunch! I love your linens, and I also like the wrinkles. A bed that is perfectly posh looks too much like a hotel room to me. Your room is so fresh and inviting! Beautiful new bedding, i am ready to go simple too i get tired of taking all those pillows off and on!Thanks you saved me time and my arms ! lol!! I visited The Vintage Songbird and didn’t see the grain sack pillow cover or any other products for sale. Can you send a direct link to that page please? I love it and may even make my own from grain sack fabric. You know what? I think that bed linen looks super comfy with wrinkles. 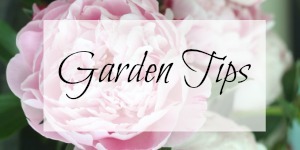 Your room looks really elegant but really useable. It’s lovely. I just adore your bedside table/dresser! The vintage elements combined with the more modern pieces is inspired!